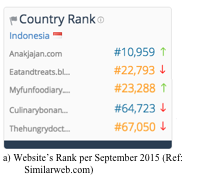 The world of food blogging has been growing rapidly for the past few years in Indonesia, especially in Jakarta. There are now tons of food bloggers in Jakarta. They have led to a whirlwind change in how food industry is perceived by the audiences. Not only have they inspired us to try out new dishes and experience new cuisines, but have also shown that if you are passionate about something then digital media allows you to monetize it in a way which could never have been dreamt of before the 21st century. They have become a real force in the food industry as they are constantly getting featured in various magazines, attending events and launches, being invited as guests in TV shows and having a huge community of loyal foodies on their blogs. 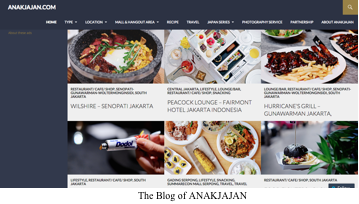 We will try to narrow down on the 5 most influential food bloggers in Jakarta who combine writing style with amazing photos and enjoy heavy high website traffic and social media engagement (especially Instagram). Instagram has been chosen as the preferred platform for social media assessment as it has become one of the major influencing platform that is currently being leveraged by food bloggers to expand their reach and engagement. These bloggers have also created their own signature #hashtag and are very successful in making them trend on Instagram. Started in 2011, the love for food and travelling encouraged this couple to make a diary about their passion on a blog called “AnakJajan”. 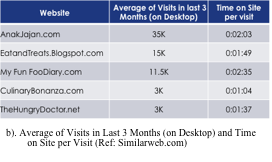 There website is one of the highest ranked website in Indonesia in terms of website visitors and their Instagram following is also huge. 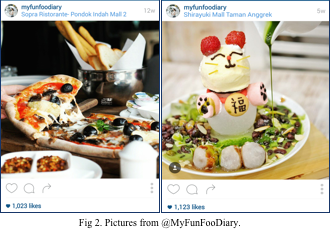 They are currently the most influential food bloggers in Jakarta. They have recently received an award as The Best Celegram in Food Category and they are constantly featured in magazines and news media. This year they were also invited as guest judges in Indonesian version of Hell’s Kitchen TV Show. Stanislaus Hans Danial, the man behind Eat and Treats blog, started blogging in October 2012 to share his passion for food and photography. With 85.5K Instagram followers and an average of 7000 daily visits on his blog, Hans has quickly established himself as one of the leading food and travel bloggers in Jakarta. Moreover, #EatandTreats is currently the top food #hashtag viz a viz other food bloggers’s #hashtags on Instagram. Hans was also one of the guest judges for Hell’s Kitchen Indonesia and appeared as a guest star in “Sarah Sechan”, a famous talkshow television program in Indonesia. Mullie Marline’s has combined her love for writing, exploring different cuisines, restaurants and photography in form of her blog of My Fun FooDiary. Her blog has become one of the top references for people who want to explore new cuisines and try out new restaurants in the country. She also loves sharing her personal recipes as well. Her colourful and intriguing food posts are very popular on Instagram. She was also chosen as one of the must follow food bloggers on Instagram in 2014 by Facetofeet.com. Ellyna Tjohnardi has been blogging since August 2011. Thanks to her blog people can easily pinpoint the best menus in restaurants and get a fair assessment of restaurant’s ambiance as well. Her website has reached over 1 million total pageviews and with 10.2K Instagram followers, she has become one of the major food influencers in Jakarta. Her work has also featured in various magazines and she is frequently invited for talkshows, and featured as one of the local food experts in a Food Documentary that was featured in Channel News Asia. Filipus Verdi Danutirto Tanu is a Medical Student who is also passionate about food and photography. 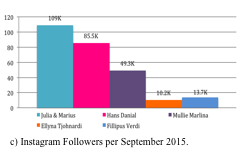 To attract more readers, Fillipus Verdi decided to create his own blog that has a very humorous writing style which goes by the name of The Hungry Doctor. With an average of 4K desktop visits per month and 13.7K Instagram followers, he is being touted as one of the most influential food bloggers in Jakarta. He was also one of the guest judges in Hell’s Kitchen Indonesia Show, alongside Julia Veronica from AnakJajan and Hans Danial. How to leverage social media data to get customer insights?